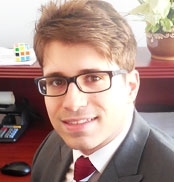 Tony started with D & D Elevator in September 2016 as a dispatcher and was a recent graduate of Adelphi University with a BFA in Economics and Globalization. With his background, it was unusual for someone to take the dispatching position but, he was looking to “get his foot in the door” of a growing business. Due to the growth, here at D & D Elevator, soon a new position of bookkeeper was available. Tony started the job as Bookkeeper in February 2017 Whenever possible, D & D’s goal is to try to promote from within and Tony was a natural fit.